The current five-member redistricting panel, which includes the governor, secretary of state, auditor and two legislative appointees, will be expanded to seven members with two additional legislative selections. If at least two minority party members vote to approve the new maps, they take effect for 10 years. If not, then the maps must be redrawn again in four years. 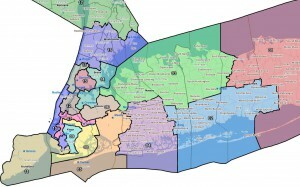 DCCC admits to helping draw proposed new Florida redistricting maps. 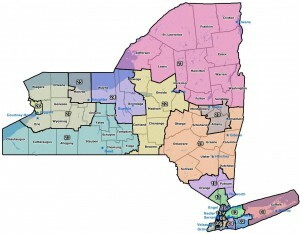 The Democratic Congressional Campaign Committee was involved in reviewing maps submitted Tuesday to the court by one group of plaintiffs challenging the state’s congressional districts. The admission that partisan organizations were involved in drawing maps that are formally being considered by the court adds yet another layer of political intrigue to the case. The Florida Supreme Court invalidated the current congressional lines back in July — finding them unconstitutionally drawn to favor Republicans and at odds with state anti-gerrymandering provisions — in part because Republican consultants were involved in drawing the first round of maps. White Democratic party declares war on Black Democratic party. And, oh, yeah, the GOP. People who whine about Republican redistricting absolutely HATE it when you bring up Section V of the Voting Rights Act, and will resolutely ignore (if you let them) the racial gerrymandering that it more or less mandates. So be sure to ask those people point-blank if their redistricting ‘reform’ position means that they’re going to openly advocate for eliminating majority-minority districts – and do that preferably when they’re in front of an audience with a decent amount of minorities in it. Personally, I’m not fond of gerrymandering. But the aforementioned Democratic whining on the subject mostly comes down to white Democrats whining about Republicans because they don’t have the guts to criticize minority Democrats; so I can’t say that my sympathy for the whiners’ plight is overwhelming, sorry. Cook: State Republican parties gave national GOP 9 seats for 2012. A much better gift than a tie or set of dishes, by the way. Cook Political Report has more or less formalized their 2012 redistricting scorecard; their final score is a gain of one Republican seat, based solely on redistricting. Cook notes that this total actually represents about 10 to 15 seats being fortified for the GOP, given that the majority of legislators who benefited from redistricting were Republicans. This will no doubt infuriate Democrats, but then: elections matter. #rsrh Assertion v. Reality on Texas redistricting. As the Texas redistricting fiasco continues, Reuters reports that Republicans are losing the opportunity to capture the state’s Latino vote. José Manuel Lozano, who represents District 43, started the month of March as a Democrat. Now the Mexican-American business owner is a Republican. “I didn’t leave the party…the party left me,” Lozano said, echoing Ronald Reagan’s famous line, in a recent interview with Fox News Latino. 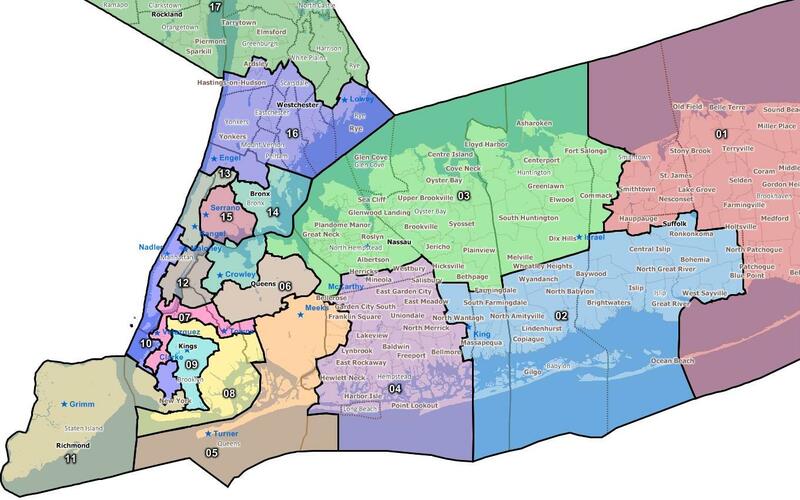 The THREATENED NY Congressional District map.